I’ve spoken with so many travellers over the years who hunt for bargains and simplicity in their search for an all-inclusive vacation that can accommodate picky multi-generational families. They’ll scour web pages for new resort openings and dissect tourism web sites to find the best undiscovered island but they scoff at the idea of a cruise. Think cruising is all geriatric old folks pushing walkers down a ramp? Try the surf simulator. Picturing a heat-lamp buffet of fried chicken and mashed potatoes with gravy? Perhaps you’d like to sample the foi gras or poached grouper with a side of chianti. Not interested in dressing up like James Bond or re-living your high school prom on formal nights? Pack some chinos and a golf shirt and you’ll blend in just fine. 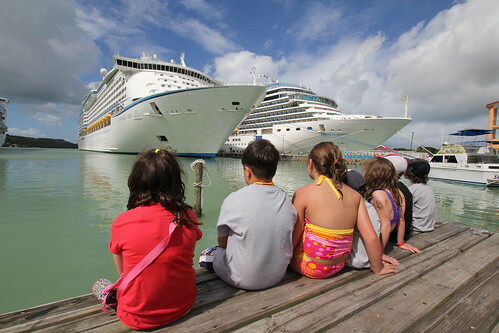 Think your cruise price includes all the bells and whistles? Prepare for the sticker shock of some pricey add-ons. In this episode of The Crime Traveller, I dispel cruising myths from barf bags to bar tabs.